Jing Wang, 51, the former Executive Vice President and President of Global Business Operations for Qualcomm Inc., today pleaded guilty to insider trading in shares of Qualcomm and Atheros Communications Inc. Wang also pleaded guilty to laundering the proceeds of his insider trading using an offshore shell company. FBME Bank Shut Out of US Financial System for “illicit finance business from the darkest corners of the criminal underworld”! On July 15, 2014 FBME Bank, a $2 billion asset size Tanzanian institution that conducts 90% of its business and holds 90% of its assets in Cyprus, has been named by FINCEN as a foreign financial institution of “primary money laundering concern” pursuant to Section 311 of the USA PATRIOT Act. FINCEN proposes to prohibit US financial institutions from opening or maintaining correspondent accounts for or on behalf of FBME, effectively shutting FBME out of the US financial system. FBME was established in 1982 in Cyprus as the Federal Bank of the Middle East, Ltd., a subsidiary of the private Lebanese bank, Federal Bank of Lebanon. Both FBME and the Federal Bank of Lebanon are owned by Ayoub-Farid M. Saab and Fadi M. Saab. FBME, via its Cypriot branches, are licensed and regulated by the Cyprus Central Bank. According to a Wall Street Journal report of March 4, 2013, FBME acquired €240 million of Cypriot government junk bonds at the height of the 2011 Cypriot financial crisis, representing 13% of FBME’s balance sheet. In 2012, on the day of Parliament’s announcement of the Cyprus financial system bailout WJS noted, FBME coincidently moved its headquarters to Cyprus and applied for a full banking license that would allow it EU wide distribution. 18 months later, in November 2013, the Cyprus Central Bank stated that FBME may be subject to sanctions and a fine of up to €240 million for alleged violations of Cypriot capital controls put in place with the bailout. But FINCEN pointed out that in just the year from April 2013 through April 2014, FBME conducted at least $387 million in wire transfers through the U.S. financial system that exhibited indicators of high-risk money laundering typologies, including widespread shell company activity, short-term “surge” wire activity, structuring, and high-risk business customers. FBME was involved in at least 4,500 suspicious wire transfers through U.S. correspondent accounts that totaled at least $875 million between November 2006 and March 2013. What Money Laundering Is FBME Allegedly Involved With ? In 2008, an FBME customer received a deposit of hundreds of thousands of dollars from a financier for Lebanese Hezbollah. As of 2008, a financial advisor for a major transnational organized crime figure who banked entirely at FBME in Cyprus maintained a relationship with the owners of FBME. FBME facilitated transactions for entities that perpetrate fraud and cybercrime against victims from around the world, including in the United States. For example, in 2009, FBME facilitated the transfer of over $100,000 to an FBME account involved in a High Yield Investment Program (“HYIP”) fraud against a U.S. person. In September 5 2010, FBME facilitated the unauthorized transfer of over $100,000 to an FBME account from a Michigan-based company that was the victim of a phishing attack. Since at least early 2011, the head of an international narcotics trafficking and money laundering network has used shell companies’ accounts at FBME to engage in financial activity. Several FBME accounts have been the recipients of the proceeds of cybercriminal activity against U.S. victims. For example, in October 2012, an FBME account holder operating as a shell company was the intended beneficiary of over $600,000 in wire transfers generated from a fraud scheme, the majority of which came from a victim in California. What actions are the Cyprus Central Bank taking in regard to these transactions, and in general as regards the allegations of wide spread money laundering by FBME? For a detailed look at Cyprus AML controls, see Special Assessment of the Effectiveness of Customer Due Diligence Measures in the Banking Sector in Cyprus of April 24, 2013. FBME Bank commissioned a detailed assessment by the German office of a leading international accountancy firm into its operations and practices, which found that the Bank’s services are indeed in compliance with applicable AML rules of the Central Bank of Cyprus and the European Union. FBME Bank welcomes the involvement of its regulator, is cooperating fully with it and reiterates its absolute continued commitment to full compliance with applicable laws and regulations. FBME Bank continues to comply with European Capital Adequacy and Liquidity Standards and other healthy balance sheet ratios. This academic looks forward to FBME making available the detailed assessment of the leading international accountancy firm that FBME’s side of the story may be known. 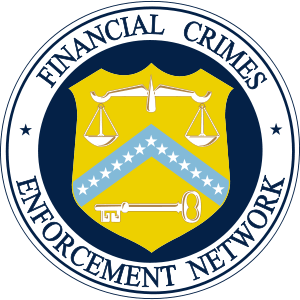 What Did FINCEN Announce About FBME? In its Notice of Proposed Rulemaking, FINCEN states that it intends to impose the fifth, special measure allowed by Section 311 of the USA PATRIOT Act (“Section 311”). FINCEN’s Director has the authority, upon finding that reasonable grounds exist for concluding that a foreign jurisdiction, institution, class of transaction, or type of account is of “primary money laundering concern,” to require domestic financial institutions and financial agencies to take certain “special measures” to address the primary money laundering concern. Covered financial institutions also would be required to take reasonable steps to apply special due diligence .. to all of their correspondent accounts to help ensure that no such account is being used to provide services to FBME. For direct correspondent relationships, this would involve a minimal burden in transmitting a one-time notice to certain foreign correspondent account holders concerning the prohibition on processing transactions involving FBME through the U.S. correspondent account. Notice: Pursuant to U.S. regulations issued under Section 311 of the USA PATRIOT Act, see 31 CFR 1010.661, we are prohibited from establishing, maintaining, administering, or managing a correspondent account for or on behalf of FBME Bank Ltd. The regulations also require us to notify you that you may not provide FBME Bank Ltd. or any of its subsidiaries with access to the correspondent account you hold at our financial institution. If we become aware that the correspondent account you hold at our financial institution has processed any transactions involving FBME Bank Ltd. or any of its subsidiaries, we will be required to take appropriate steps to prevent such access, including terminating your account. The special due diligence would also include implementing risk-based procedures designed to identify any use of correspondent accounts to process transactions involving FBME. A covered financial institution would be expected to apply an appropriate screening mechanism to identify a funds transfer order that on its face listed FBME as the financial institution of the originator or beneficiary, or otherwise referenced FBME in a manner detectable under the financial institution’s normal screening mechanisms. An appropriate screening mechanism could be the mechanism used by a covered financial institution to comply with various legal requirements, such as the commercially available software programs used to comply with the economic sanctions programs administered by OFAC. On June 30th, the U.S. Department of the Treasury’s Office of Foreign Assets Control (OFAC), as part of a combined $8.9 billion settlement (settlement agreement here) with federal and state government agencies, today announced a $963 million agreement with BNP Paribas (BNPP) to settle its potential liability for apparent violations of U.S. sanctions regulations. The $8.9 billion is the largest OFAC settlement to date. However, the statutory maximum and base civil monetary penalties in this case were $19,272,380,006. What Did BNP Paribas Do Exactly? For a number of years, up to and including 2012, BNPP processed thousands of transactions to or through U.S. financial institutions that involved countries, entities, and/or individuals subject to the sanctions programs listed above. BNPP appears to have engaged in a systematic practice, spanning many years and involving multiple BNPP branches and business lines, that concealed, removed, omitted, or obscured references to, or the interest or involvement of, sanctioned parties in U.S. Dollar Society for Worldwide Interbank Financial Telecommunication payment messages sent to U.S. financial institutions. The specific payment practices the bank utilized in order to process sanctions-related payments to or through the United States included omitting references to sanctioned parties; replacing the names of sanctioned parties with BNPP’s name or a code word; and structuring payments in a manner that did not identify the involvement of sanctioned parties in payments sent to U.S. financial institutions. While these payment practices occurred throughout multiple branches and subsidiaries of the bank, BNPP’s subsidiary in Geneva and branch in Paris facilitated or conducted the overwhelming majority of the apparent violations. How Bad Was BNP Paribas Conduct? BNPP processed 2,663 wire transfers totaling approximately $8,370,372,624 between September , 2005, and July 24, 2009, involving Sudan. The total base penalty for this set of apparent violations was $16,826,707,625. $8 billion in four years – approximately $2 billion a year. BNPP processed 318 wire transfers totaling approximately $1,182,075,543 between July 15, 2005, and November 27, 2012, involving Iran. The total base penalty for this set of apparent violations was $2,382,634,677. BNPP processed 909 wire transfers totaling approximately $689,237,183 between July 18, 2005, and September 10, 2012. The total base penalty for this set of apparent violations was $59,085,000. BNPP processed seven wire transfers totaling approximately $1,478,371 between November 3, 2005, and approximately May 2009, involving Burma. The total base penalty for this set of apparent violations was $3,952,704. Did Anyone Go to Prison? No. No charges have been brought. If Not Prison, Then What Was the Discipline? In total, including those terminated, the Department of Financial Services reports that the Bank disciplined 45 employees, with levels of discipline ranging from dismissals, to cuts in compensation, demotion, and other sanctions, while 27 additional BNPP employees who would have been subject to potential disciplinary action during the investigation had already resigned. Who Is Paying the Fine? How Will BNP Minimize the Risk of Its Doing It Again? Under the settlement agreement, BNPP is required to put in place and maintain policies and procedures to minimize the risk of the recurrence of such conduct in the future. BNPP is also required to provide OFAC with copies of submissions to the Board of Governors relating to the OFAC compliance review that it will be conducting as part of its settlement with the Board of Governors. a new department called Group Financial Security US, part of the Group Compliance function, will be headquartered in New York and will ensure that BNP Paribas complies globally with US regulation related to international sanctions and embargoes. all USD flows for the entire BNP Paribas Group will be ultimately processed and controlled via the branch in New York. Settlement Agreement between the U.S. Department of the Treasury’s Office of Foreign Assets Control and Clearstream Banking, S.A.
Settlement Agreement between the U.S. Department of the Treasury’s Office of Foreign Assets Control and the Royal Bank of Scotland plc. Settlement Agreement between the U.S. Department of the Treasury’s Office of Foreign Assets Control and ING Bank, N.V.
Settlement Agreement between the U.S. Department of the Treasury’s Office of Foreign Assets Control and JPMorgan Chase Bank N.A. Settlement Agreement between the U.S. Department of the Treasury’s Office of Foreign Assets Control and Barclays Bank PLC. Settlement Agreement between the U.S. Department of the Treasury’s Office of Foreign Assets Control and Aviation Services International, B.V.
Settlement Agreement between the U.S. Department of the Treasury’s Office of Foreign Assets Control and Lloyds TSB Bank, plc. Settlement Agreement between the U.S. Department of the Treasury’s Office of Foreign Assets Control and Credit Suisse AG. 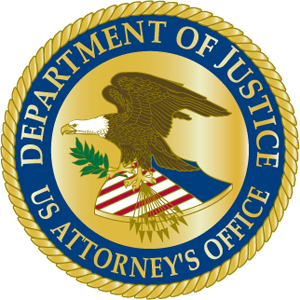 Settlement Agreement between the U.S. Department of the Treasury’s Office of Foreign Assets Control and Australia and New Zealand Banking Group, Ltd.
Graduating Thomas Jefferson juris doctor candidate Emmanuel Rayes co-authored with Dr. David Utzke the chapter “Virtual-Currency Regulatory Developments” for LexisNexis new release of Money Laundering, Asset Forfeiture and Recovery and Compliance — A Global Guide (LexisNexis). Ashley Paulson, currently working in a DEA internship position and also about to graduate from Thomas Jefferson, leveraged her professional network and work expertise to create three new compliance oriented chapters for banks, including one on politically exposed persons (‘PEPs’). The Financial Crimes Enforcement Network (FinCEN) on Thursday published two administrative rulings, providing additional information on whether a person’s conduct related to convertible virtual currency brings them within the Bank Secrecy Act’s (BSA) definition of a money transmitter. The first ruling states that, to the extent a user creates or “mines” a convertible virtual currency solely for a user’s own purposes, the user is not a money transmitter under the BSA. The second states that a company purchasing and selling convertible virtual currency as an investment exclusively for the company’s benefit is not a money transmitter. LexisNexis’ Money Laundering, Asset Forfeiture and Recovery and Compliance: A Global Guide – This eBook is designed to provide the reader with accurate analyses of the AML/CTF Financial and Legal Intelligence, law and practice in the nations of the world with the most current references and resources. The eBook is organized around five main themes: 1. Money Laundering Risk and Compliance; 2. The Law of Anti-Money Laundering and Compliance; 3. Criminal and Civil Forfeiture; 4. Compliance and 5. International Cooperation. Each chapter is made up of five parts. Part I, “Introduction,” begins with the analysis of money laundering risks and compliance with the recommendations of the Financial Action Task Force (FATF), and then concludes with the country’s rating based on the International Narcotics Control Strategy Report (INCSR) of the U.S. State Department. Part II, “Anti-Money Laundering and Combating Terrorist Financing (AML/CTF)” and Part III, “Criminal and Civil Forfeiture,” evaluate the judicial and legislative structures of the country. 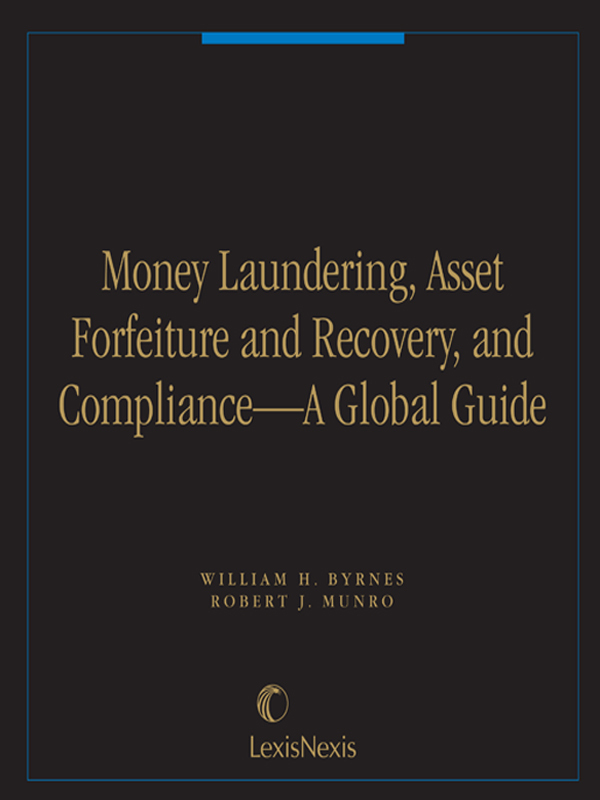 Given the increasing global dimension of AML/CTF activities, these sections give special attention to how a country has created statutes, decisions, policies and the judicial enforcement procedures needed to combat money laundering and terrorist financing. Part IV, “Compliance,” examines the most critical processes for the prevention and detection of money laundering and terrorist financing. This section reflects on the practical elements that should be in place so that financial institutions can comply with AML/CTF requirements; these are categorized into the development and implementation of internal controls, policies and procedures. Part V, “International Cooperation,” reviews the compilation of international laws and treaties between countries working together to combat money laundering and terrorist financing.